Cutting a lawn can be a frustrating experience – especially if there are a lot of trees and other obstacles in the way. It’s even more difficult if you’re using a riding lawnmower because of the sheer size of them. 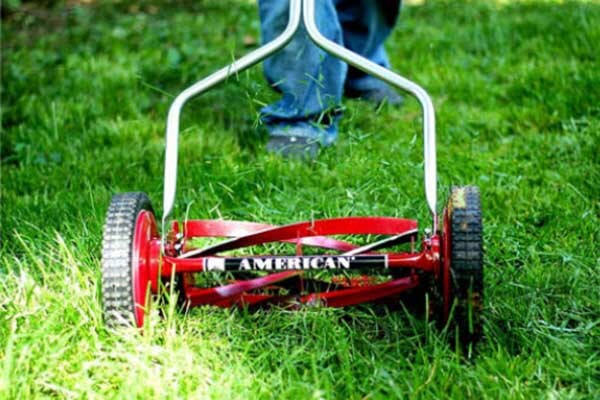 They’re certainly great if you own a large property, but you have to take the good with the bad and there’s no doubting they’re not as easy to maneuver as a hand pushed lawnmower. At least in most cases this is true anyway. 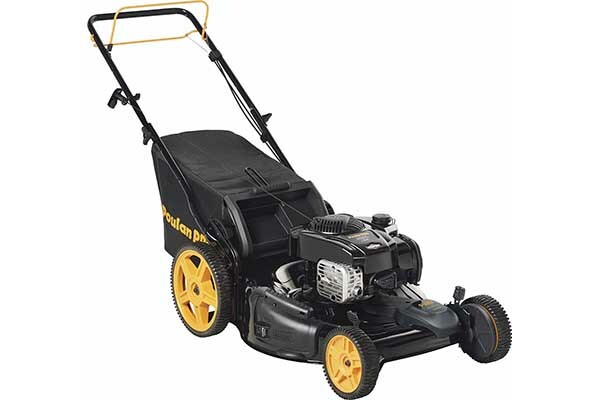 A mower that has the potential to make cutting the lawn just as easy on a riding mower as it is with a push mower is the Poulan Pro 967331001 P54ZX. This is a machine that’s described as a zero-turn mower, which essentially means it can turn on the spot. 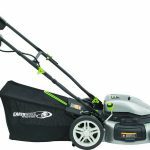 For that type of powerful lawn cutting option you can expect to pay more, and this model is going to cost you upwards of $4000. 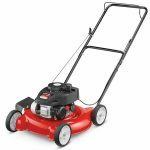 If you have a property with a lot of hills and uneven ground you need a mower with a lot of horsepower, and this product delivers. 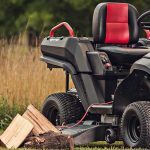 It has a 24 hp Briggs & Stratton V-twin Pro engine that will power you through some of the toughest patches on your lawn and over any hill that gets in your way. 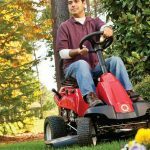 With this mower you won’t have any trouble getting around a large piece of property. 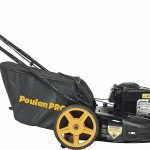 The heart and soul of any riding lawnmower is the mowing deck and with this Poulan Pro model what you get is a mower with a sturdy and reliable deck that’s built to last for years. On top of all that it’s 54 inches wide, which makes it capable of cutting a large swath of grass with a single pass. 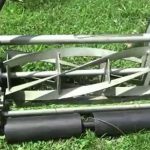 When you consider the average lawnmower has a cutting deck of around 30 to 35 inches you can see why this mower’s cutting width is so impressive. As an added bonus it’s also easily lowered and raised, depending on the height of the grass you’re trying to cut. After doing a little research into riding lawnmowers I’ve generally come away a little disappointed with the type of warranties that most manufacturers offer. A standard warranty on a riding lawnmower these days seems to be about 2 to 5 years. When you consider that you can expect to pay several thousand dollars for one of these machines, that’s downright disappointing. The Poulan Pro 967331001 P54ZX has a much better warranty at 10 years. 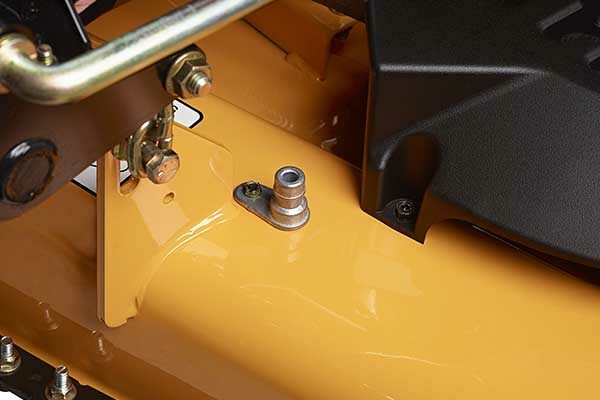 Chances are if your machine is going to have any kind of serious issues it will happen well before that 10 year mark, and if you can get 10 years out of your mower you’ve pretty much got your money’s worth any way. No matter how great a lawnmower is at doing the job it still has to have the fuel tank capacity to get you through the job. 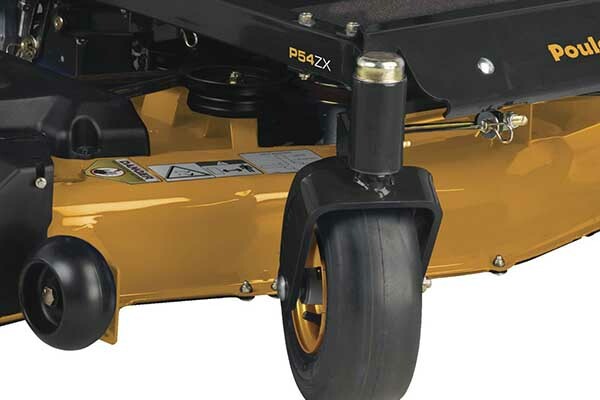 If you’re in the market for a riding lawnmower that’s probably because you have a pretty large piece of property to cut, which means you need a mower with a large fuel tank capacity, and Poulan has you covered here as well. 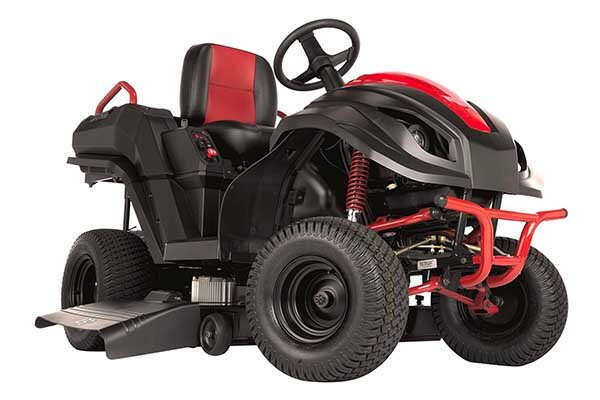 This mower has a 3.5 gallon fuel tank that is certainly large enough to get you through all but the biggest mowing jobs. When the manufacturer of this riding lawnmower put together their advertising package they decided to focus on the mower’s zero-turn capacity. 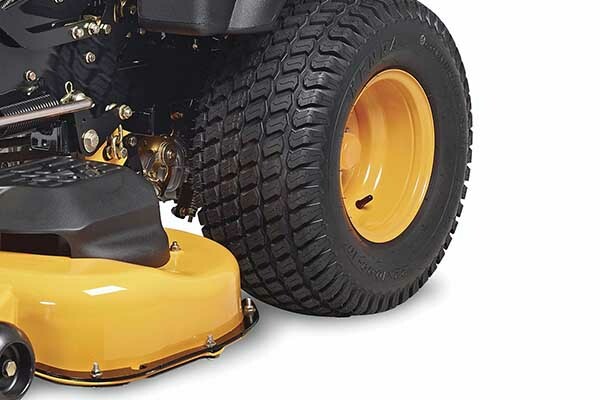 This mower actually has independent steering for each wheel, which allows you to do a complete turn right on the spot – in other words execute a zero turn. It’s a great feature to have, especially if you have a lot of tight areas on your lawn, but that doesn’t mean it’s easy to use. 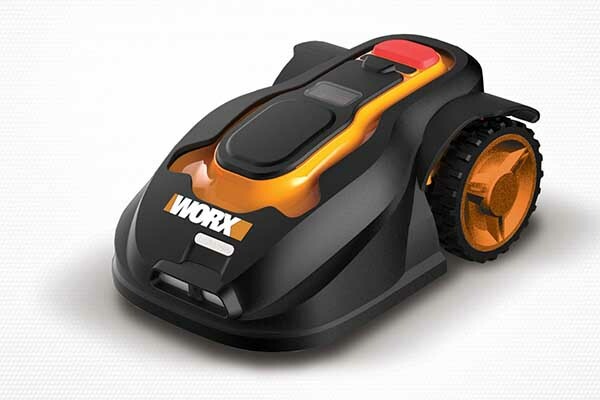 There is no steering wheel on this lawnmower – instead it uses a pair of handles that each individually controls the wheels on its side. It’s a steering process that will take a lot of getting used to and simply isn’t for everybody. 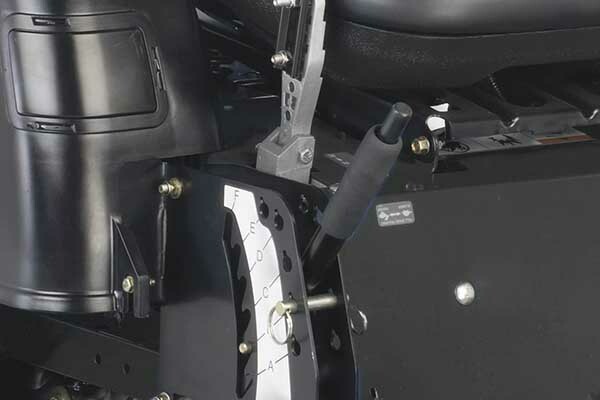 Apart from the alternative steering method which some people may not like, there are a couple of other problems that customers have run into with this machine. One complaint that seems to have come up more than once is that some of the belts may slip, disrupting the operation of the vehicle. With a 10-year warranty you shouldn’t have a problem getting this replaced, but it shouldn’t really happen in the first place and is certainly annoying. On top of that, when people have run into problems with this machine they haven’t always found it easy getting in touch with customer support to have their problem resolved. Another complaint that some customers have brought up is that the machine seems to have poor traction. 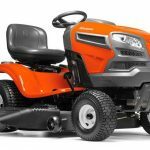 The idea of a riding lawnmower with the capacity to make a zero turn is certainly enticing, but to do that you have to put up with their alternative steering system that certainly isn’t intuitive. I guess it really depends on how patient a person you are. It does have a powerful engine and an impressive fuel tank capacity, but there are definitely a couple of concerns with this machine that you might have trouble looking past. Keep in mind, though, you do get the peace of mind of a 10 year warranty.